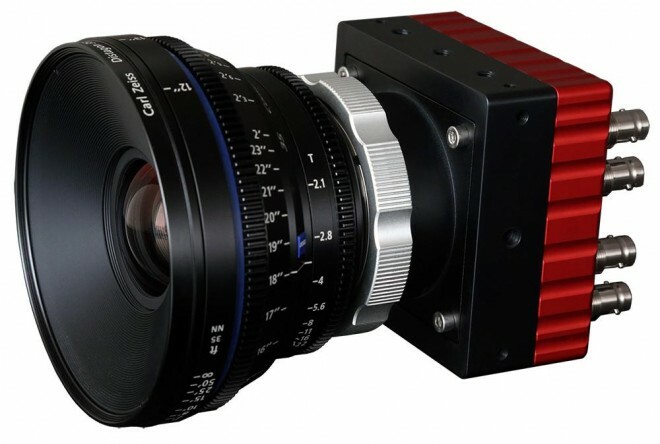 IO Industries Inc. announced that their new 4KSDI camera was shown at IBC 2014. The 4KSDI is a single-piece 4K/UHD camera head with 3G/HD-SDI outputs for connection to separate recorders and monitors. It features a Super-35mm global shutter sensor, interchangeable lens mount, and multiple output formats to support various applications. Designed for use in professional broadcast and production environments, it also suits remote video applications with unmanned aerial or underwater vehicles. The 4KSDI is the first 4K camera designed to get the tight shots in difficult locations that are otherwise impossible with larger camera systems. Despite its size, this small form factor camera delivers the same image quality demanded by professionals. Flexible lens mount options including PL, Nikon F and Canon EF, allow familiar lenses to be used, while an integrated Optical Low Pass Filter helps remove moiré artefacts. With four 3G/HD-SDI outputs, connection to peripheral devices is made easy. Depending on the output format, either two or four cables are needed to connect the 4KSDI to a growing selection of 4K/UHD field recorders, monitors, and live production switchers. For multi-camera configurations, either stereoscopic or panoramic, precise camera synchronization is possible using a tri-level sync reference.